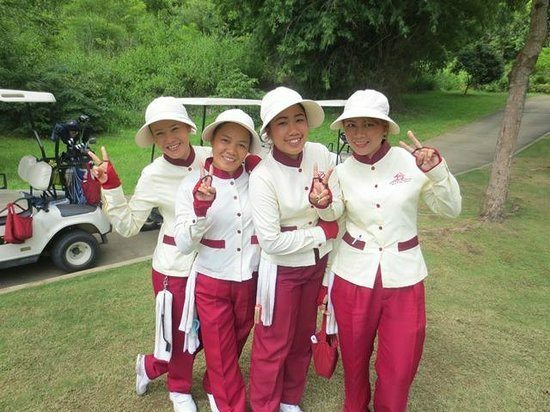 Thailand’s caddies are one of its unique selling points generally because they work with an easy smile and just like the rest of Thailand’s renowned service industry just want you to enjoy yourself. But we golfers are far more demanding than just requiring a smile, we want Steve Williams on the bag. Therefore, that can’t be where the story ends. If you have golfed here for many years you will have played with good, less good and somewhat mediocre caddies, generally described as “bag carriers”. 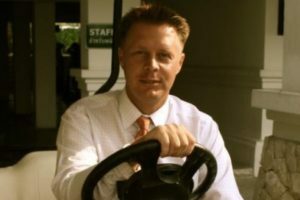 To better understand what makes one caddy better than another and the inherent challenges faced in order to create the Williams effect, I spoke with Derek Schade, GM of Chiang Mai Highlands, who launched Chiang Mai Highlands Golf Resort in Northern Thailand and managed 3 golf courses in total. GA – You launched an entire golfing organisation from nothing, so where exactly do you start when it comes to caddying? DS – In the case of somewhere like Highlands which is entirely surrounded by rural areas, you are starting very much from scratch. It helps that I can speak fluent Thai so at first I went into the community and spoke to various groups explaining what would take place, the jobs that were on offer and what caddies might earn. Used to back breaking work in the fields, riding around in a cart with people prepared to pay 4,000 baht for hitting a ball with a stick for 4 hours got their attention…there was easy money to be made! GA – I’m guessing things start slowly then become more involved? DS – Exactly. Our programme ran in 3 week-long phases. First they needed to understand the language and etiquette of golf; tees, bunkers, greens, other hazards, where to stand on the green, when to talk and when to remain quiet, what the players were aiming to achieve. It was basic understanding when obviously all this was a complete mystery. Following this we could look at more technical matters such as distances a particular club might travel and the flight of the ball, distances to aim points or trouble, greens and pins. Then how to rake bunkers and repair pitch marks. Finally it was all about adding value and enabling better scoring on behalf of the customer (player). Take distances to a pin on a par 3: the hole marker will have distances from various coloured tees, perhaps a simple map and of course the flag itself will indicate front/middle/back and that has to be taken into account. The vast majority of caddies would say the distance as they saw it on the marker or score card, but the smart ones could say 150 to the middle but the pin’s at the front so maybe 145 yards. Some could even factor in the wind and the cream of the crop would then be able to club players. The final skill was to learn how to read the greens…an art for the best of us let alone for a Thai girl from a village who one month prior was planting rice. GA – That’s a lot to learn in 3 weeks given the circumstances. DS – It was and we were on a deadline to open. Basically, once we were sure the caddies wouldn’t embarrass themselves or the club they were let loose on the course but an attempt was made to put together groups where promising caddies could help the less able. In the end it worked surprisingly well. GA – Impressive and it explains why some caddies are better than others. DS – I know it is frustrating to get a caddy less able than another one in the group who is pulling out the right clubs and reading the greens superbly and of course that is reflected in the level of tipping, but I believe they are doing their best and when the course supervisors, the organisation and the caddies gain more experience naturally the abilities across the board rise. We are, of course, always investing in their training and are proud of all that has been achieved. GA – Thanks Derek, hopefully we’ll all appreciate our caddies even more in the future.